I’m finally getting some color this summer. Each week, my CSA share has given me bunches and bunches of greens: lettuces, bok choy, Russian kale, snap peas, tat soy, fresh herbs and the occasional candy colored radish or berry-red beet. I was thinking I might turn into the Green Giant consuming it all. But this weekend, I took a retreat to North Fork to visit my friends at Garden of Eve (again), and teach a homemade vegetable dumpling-making class. It was a lovely two hours and with ten pupils, we made three types of dumplings: Chinese-style vegetarian dumplings with napa cabbage, firm spiced tofu, scallions and kale; shredded zucchini with feta, parsley and chive dumplings served with Balsamic vinegar; and sundried tomato, minced broccoli and basil dumplings with fresh breadcrumbs, egg, and a bit of leftover feta, served with lemon aioli. All batches were eaten up. But left to the wayside were some ingredients that Melissa had picked from the fields for my class, and never got used. Well, not until the next day, after taking them home. Doesn’t dinner just look more beautiful in the summer? Like our clothes, or our overall moods, food gets more colorful in the hottest months of the year. (And yes, my skin is quite brown at the moment.) It hasn’t reached its peak yet, but what could be more emblematic of that than rainbow chard, which was one of said leftover veggies. I think I (and two friends, who came along for the ride and class) made off with real gems in these multi-hued leaves. I also think it’s neat how Garden of Eve (as well as most farmers who sell them at markets, it seems) bunch them in multiple colors, hence naming them “rainbow” combined. So eye-catching they are that their presence has grown more and more widespread over the last few years. One of the wonderful differences between shopping at grocery stores and farmers’ markets is that at the latter, you’ll see so many less common varieties of vegetables that you may not have even realized existed before, and smaller farms are truly responsible for pioneering the rainbow fill-in-the-blank trend (i.e. carrots). Or, gardening at home? You can pick from so many types of vegetable seeds (and discover what they actually are, perhaps), there’s no reason to stick with the most common kinds. Also leftover from the class were my sundried tomatoes, fresh breadcrumbs, garlic and a couple zucchinis. This dish combines them all (plus capers and some windowsill thyme) in a really simple way — much easier than making dumplings. Hey, we can all use a break. The breadcrumbs are patted onto the sliced zucchini with some salt, pepper and thyme, and browned on a good skillet with olive oil. Afterward, I didn’t even need to turn the flame back on to just wilt the curly, chopped chard with garlic. Finally, the extra breadcrumbs are given a swirl in the same pan to toast them, and become a topping for the dish along with chopped sundried tomatoes and capers. It’s that simple. The other thing about summertime: the living’s (and cooking’s) easier. In a wide bowl or plate, combine the breadcrumbs, salt, pepper and thyme. Pat firmly onto sliced zucchini on each side. Heat oil in a heavy-bottomed skillet. Place zucchini down carefully and quickly to retain as much breadcrumbs on the bottom side. Pat some more breadcrumbs on the top side if it lost too much in the process, and flip after about 1 minute of cooking, or until lightly browned on the bottom. Cook another minute or two on the other side, remove carefully with tongs and set aside. Turn off heat if pan is thick enough on the bottom to retain heat and wipe skillet clean with a paper towel. Add the chard and garlic and let wilt, stirring, for about 2 minutes (adding a little more olive oil if it begins to slightly burn). Divide equally among serving plates. Add the remaining breadcrumbs to the skillet and toast, over medium heat, for 1-2 minutes or until slightly darker in color. 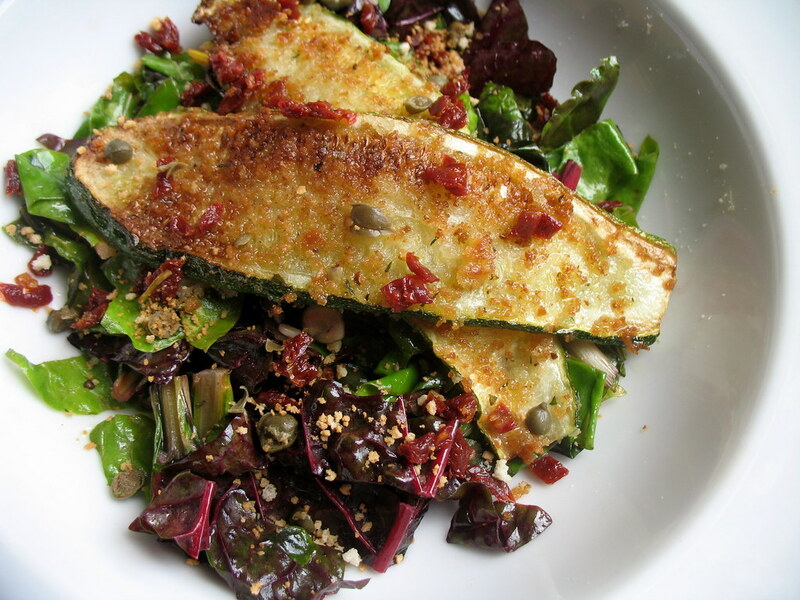 Top chard with the zucchini, and sprinkle with the breadcrumbs, sundried tomatoes and capers. Serve immediately. Three brownie points: Generally (but not strictly) speaking, color means vitamins, and the more vibrant, the more potent. 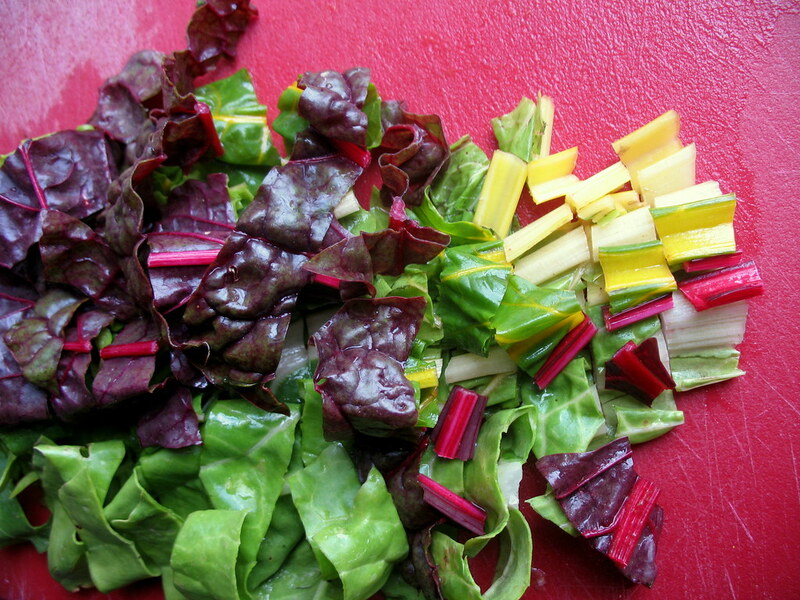 With an array of colors found in rainbow chard, you’re bound to get several antioxidants, Vitamins K, A, C and B’s. Zucchini will also lend thiamin, niacin and fiber. You’ll want to go easy on salting this dish, why is why the sundried tomatoes, capers and salted breadcrumbs are acting as seasoning for the chard (and are high in sodium). 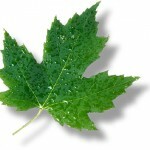 Eight maple leaves: Homemade bread and farm-fresh organic vegetables are about as green as it gets, though the sprinkle of imported sundried tomatoes is none of the above. This sounds great! 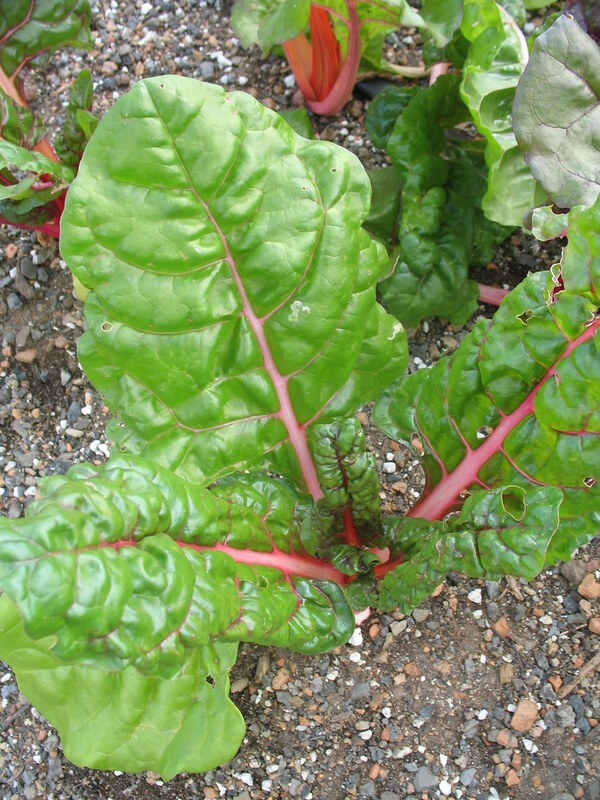 Chard is easy to grow and it’s one of those plants you can trim and it comes back over and over. I’m always looking for new ways to cook chard and zucchini, bookmarked! This looks like a great combo. Oh sweet fried zucchini! Just made some chard, too, with garlic, peperoncino and fresh tomatoes. My dad’s recipe. I got the chard from the rooftop farm which I discovered on your blog. Everything is all so inter-connected! Your calculations are mind-blowing. I don’t even know where to begin! This looks so delicious! 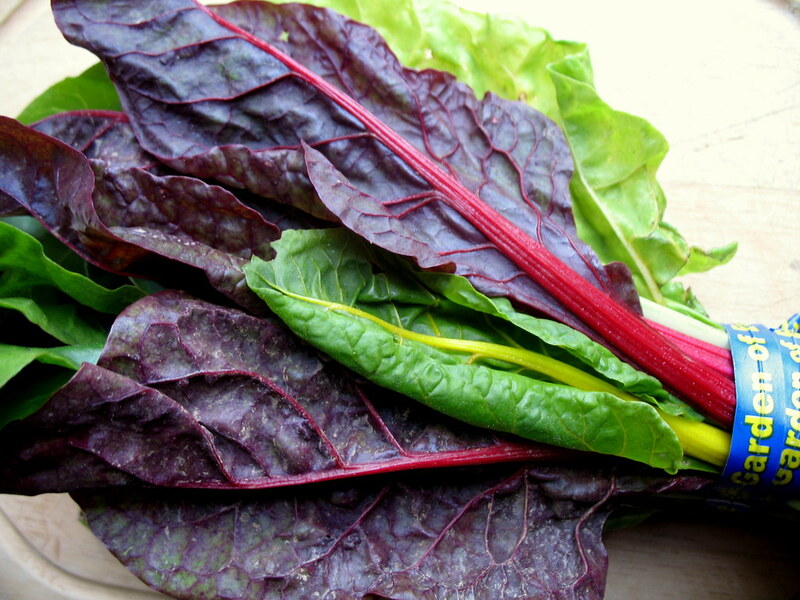 The thought of rainbow chard and zucchini is so tempting. I must give this one a try! 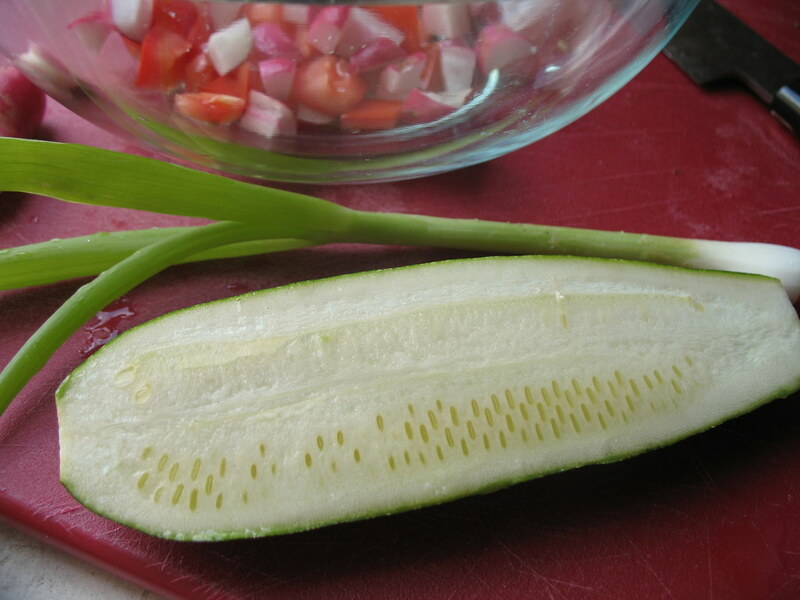 This looks scrumptious – can’t wait to try it with the little CSA zucchinis. 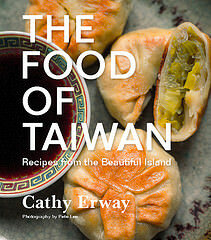 when are you going to teach dumpling making in Brooklyn??? They sounded amazing! I’m loving all of the summer squash recipes going around right now, but this looks to be one of my favorites. Think I’ll try to pick up the ingredients tomorrow at GAP greenmarket. This recipe looks like a terrific way to cook some hard to use-up CSA box tasties. The vegetable dumplings mentioned earlier in the post sound awesome, too! Is there any way to get those recipes? ? ? I’m SO making this recipe tomorrow; have fallen in love with my kitchen again and this dish is just right up my alley! So happy to have found your blog! About the imported sundried tomatoes, you can make them yourself in the oven!